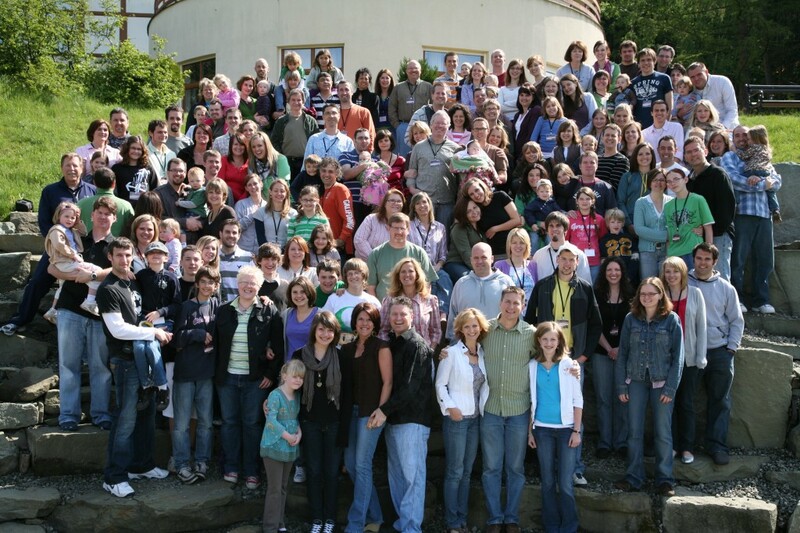 We just returned Sunday from our annual conference in Czech Republic with our extended Josiah Venture family. Here we are all pictured above, big huh? Although it is a very large, it definitely feels like “family”. 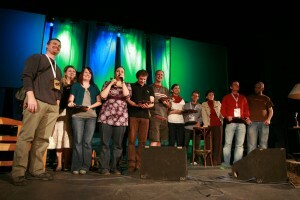 All of us are Americans, living in Eastern Europe doing youth ministry. It is a privilege for us to serve alongside these wonderful people. This conference is something we look forward to each year as well as our kids. It renews both our Spirit and our Soul in teaching and fellowship. This year (like every year it seems) we said goodbye to 10 our our co-workers (and their families). It was really hard, however we recognize how richly God has blessed us in our life here. We can’t imagine any other life. We are anticipating the arrival of new teammates to Slovakia this fall. A couple and their 5 kids are right now in the States raising support. They are hoping to be in Slovakia by this Fall!! Praise God for these new friends and ministry partners. You may remember that we have a small group which is made up from young people from last summer’s evangelistic English camp. Here is the latest about our progress. Out of the 14 students who attended the camp, we still have regular contact with 7. We have added about 5 others to our group. I am discipling one weekly, but we have completely lost 2 who were regulars over this period of time. From our perspective this feels both positive and negative. Our dream looked much bigger after one year, but we work with what we have in our hands. Each Thursday, we meet from 5:30 to around 8:30pm. We eat dinner together and then spend time around God’s Word. We have worked through two series’ of material. The first was a 10 week study of basic Bible themes and the other was another 10 week series called “Starting Point”. It is a study for new believers built around the story of God from creation to Eternity. It has been an up and down journey for sure. One week I am extremely excited about the groups growth and maturity and the next week I couldn’t be more depressed. But overall, I am grateful that God has kept our new family intact. And our vision is to split our group into at least 3 parts in the Fall in an effort to make space for more of our friends. 1. God to generate his life in the group and attract other to that life. 2. That His Spirit would convince each member of their need for God and His truth. 3. For our plan to divide the group in the Fall – that it will be fruitful and an exciting time of growth. Thank you to all those who prayed over last weekend. Over 500 youth workers came together to concentrate on preparing themselves for the next stretch of service in their local church youth ministries. Now in it’s 16th year, this conference is a phenomena among our European partner countries. It’s the largest of it’s kind and was recently called a “flagship” for Josiah Venture in Europe. This year’s theme was “Restart” and emphasized our frequent need to restart things like our RELATIONSHIP with God, our ATTITUDE, our MINISTRY, our relationship to UNBELIEVERS, our relationship to the CHURCH, our relationship to GOD’S WORD and our relationship to DISCIPLESHIP. 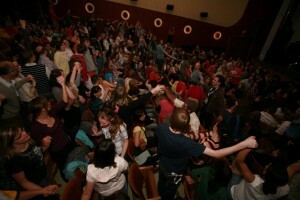 The conference hall was packed with energetic youth workers. 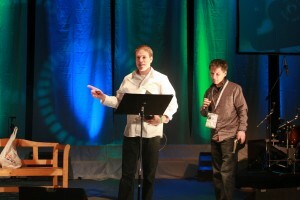 Each one typically representing small youth ministries around the country of 20 youth or less. One missionary from Slovenia (two countries to the southwest of Slovakia) who was visiting the conference, said that he sat in the balcony on the first night and cried. 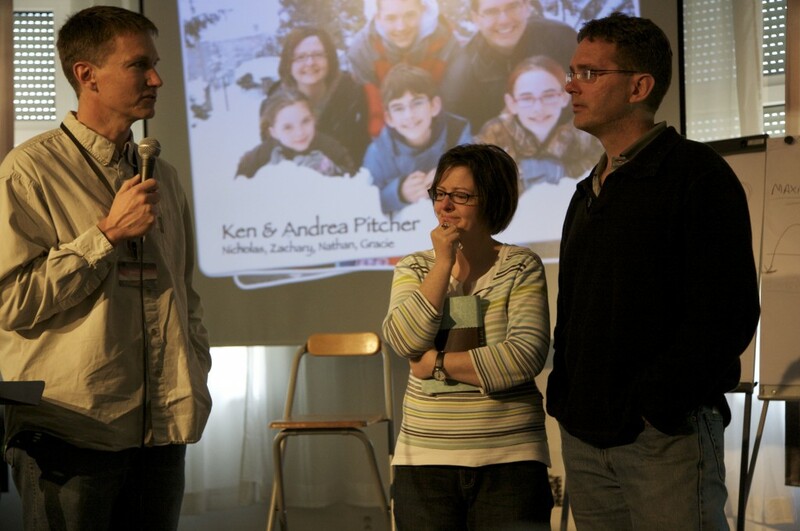 Nothing like this exists in his country and he was asking God to grow up an army of youth leaders like this one in Slovenia. Our Kompas team (pictured at right) consists now of 8 Slovak nationals and three Americans. Each one is responsible for a certain conference department. Some over accommodations, some over program, some over registration, some over the technical aspect. I (Zac) was responsible for several areas. I spoke at one of the main plenary sessions, I had a seminar on men’s purity and I organized a labyrinth walk, which facilitates prayer and meditation over Biblical themes. Our whole team worked with amazing cooperation to coordinate every aspect of the conference. We could not be more excited about the momentum created for the kingdom of God through this event. 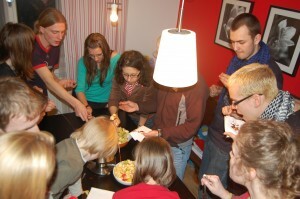 And it’s your prayer and support that sustain events like this, which in turn directly impact the next generation of Christ followers in the churches of Slovakia. Thank you!